For over forty years, Annabel Trends has been making quality home linen, napery and accessories loved by people Australia-wide. Their Australian-designed products are made with care and will look wonderful in your home – whether you want to stay groovy and splatter-free while you cook, or you want to look good when you’re drying the dishes! If you love a sunburnt country, a land of sweeping plains, of rugged mountain ranges, droughts and flooding rains, then you’ll love this range of Australia Luggage Tags by Annabel Trends. Made from bright debossed rubber, this range of luggage tags will make spotting your suitcase among the long line of bags on the baggage carousel a piece of cake (or lamington in this instance). 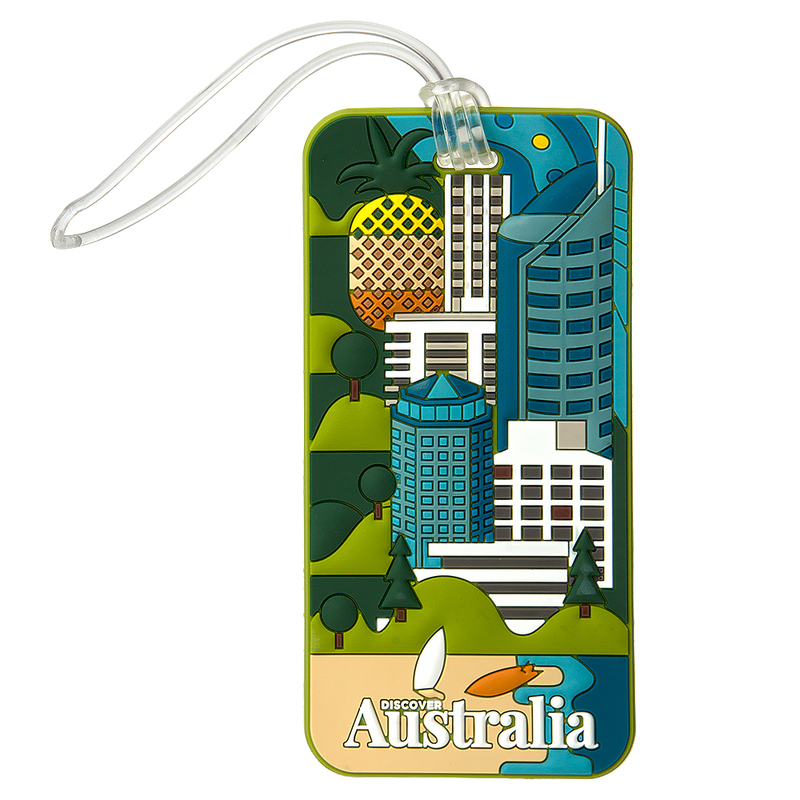 Featuring the iconic Gold Coast, the Big Pineapple and the golden beaches for which it is known, the Queensland Luggage Tag is the perfect companion for your luggage. Simply loop the attached rubber strap through your bag’s zipper, and write your contact details on the space provided on the back of the tag for easy identification. Take some Aussie pride with you, wherever in the world you go, with Annabel Trends. Made from debossed rubber, with attached rubber strap.